Acting United States Attorney Gregory G. Brooker today announced that Sightpath Medical, Inc. (n/k/a Sightpath Medical, LLC) (“Sightpath”), TLC Vision Corporation (n/k/a TLC Vision (USA, LLC)) (“TLC”) (collectively the “Sightpath Entities”) and their former CEO, JAMES TIFFANY, have agreed to pay more than $12 million to the United States to resolve kickback allegations under the False Claims Act (“FCA”). The United States also intervened in an underlying lawsuit against the Cameron-Ehlen Group, Inc. d/b/a Precision Lens (“Precision Lens”), Precision Lens’ owner PAUL EHLEN, and JITENDRA SWARUP. “This settlement is an outstanding result and represents the third major False Claims Act case successfully handled by this Office in the last three months. These types of cases remain a top priority of our Office, I applaud the hard work and dedication of the Civil Frauds Unit and the agencies involved in the case,” said Acting U.S. Attorney Gregory Brooker. According to the complaint, brought by a whistleblower, Sightpath and Precision Lens supply intraocular lenses, as well as ophthalmic surgical equipment and services to medical facilities. These products and services are used by ophthalmologists in connection with eye surgeries, including cataract surgeries performed in Ambulatory Surgical Centers and hospitals for which federal payers, such as Medicare, provide reimbursements. The complaint alleges that Precision Lens, EHLEN and the Sightpath Entities paid kickbacks to physicians in various forms, including travel, entertainment and improper consulting agreements. The complaint identifies multiple examples of trips including luxury skiing vacations and high-end fishing, golfing and hunting trips. The complaint also alleges that these various items of value were provided in order to induce the physicians to use Precision Lens’ and the Sightpath Entities’ products and services. According to the settlement agreements, the United States contends that between January 1, 2006 and January 1, 2015, the Sightpath Entities provided physicians items of value to induce the use of Sightpath Entities’ products and services, which resulted in the submission of false claims to the United States for ophthalmological products and services. These items of value included hunting, skiing, fishing, and golf trips. Additionally, the Sightpath Entities entered into consulting agreements with physicians and physician practices for services that were never performed or not properly tracked, resulting in payments in excess of fair market value. According to the settlement agreements, the United States further alleged that TIFFANY directed much of the conduct at issue, particularly between 2010 and 2013 when he was CEO of Sightpath and TLC, and that TIFFANY was directly involved in setting up and participating in several of the trips with physicians who were either Sightpath customers or potential customers. In addition, TIFFANY directly participated in establishing and continuing the lucrative consulting agreements with physicians and physician practices. The United States contends that by providing these items of value, the Sightpath Entities and TIFFANY knowingly induced physicians to utilize the Sightpath Entities’ products and services and submit false claims to the federal government. The claims were false because they were tainted by illegal kickbacks to the physicians, in violation of the Anti-Kickback Statute and the False Claims Act. These settlements resolve allegations filed in a civil lawsuit originally brought by a whistleblower under the qui tam provisions of the False Claims Act, which allow private parties to bring suit on behalf of the government for false claims and to share in any recovery. The government often relies on whistleblowers to bring fraud schemes to light that might otherwise go undetected. The whistleblower in this matter, Kipp Fesenmaier, will receive 19.5 percent of the amounts recovered in connection with the settlement agreements. The United States has declined to intervene in the case against the other defendants named in the complaint. The claims resolved by these settlements are allegations only; there has been no determination of liability or wrongdoing. 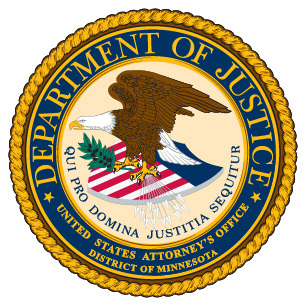 The case was handled by Assistant U.S. Attorney Chad A. Blumenfield of the Civil Frauds Unit of the U.S. Attorney’s Office for the District of Minnesota with assistance from the Office of Inspector General of the U.S. Department of Health and Human Services and the Federal Bureau of Investigation. The case is United States ex rel. Fesenmaier v. Sightpath Medical, Inc. TLC Vision Corporation, The Cameron Ehlen Group, Inc. dba Precision Lens, et al., Civil No. 13-CV-3003 (RHK/FLN).